Being a well-established organization, we bring forth an excellent assortment of 316L Stainless Steel Stud. 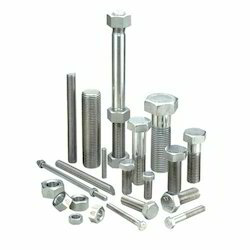 We are leading manufacturers, exporters & suppliers of fasteners. 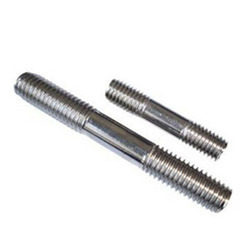 Our range of fasteners is made from fine quality metals like Stainless Steel and other high quality metals such as Inconnel, Monel, Hastalloy, Nickel, etc. We also provide customization to our entire rage as per the specifications laid by our clients. In line with clients' diverse requirements, we are involved in providing an optimum quality range of Hex Bolt Type Sleeve Anchor. We offer the wing nuts which are widely applicable in the industry of automobile. These wing nuts can be availed from us in different dimensions as per the requirement of the clients. The wing nuts we offer are easy to use and are bets suitable for the fastening of bolts.